Signature Carpet One Floor & Home is your family–owned, neighborhood window treatment and flooring expert. We have proudly served Fremont, CA and the Greater Bay Area for over 25 years. Visit our showroom in Fremont, CA to see the our entire selection of Hunter Douglas window coverings and flooring choices. At Signature Carpet One Floor & Home you will find more than great window coverings. Whether you are shopping for a single window treatment, redecorating your entire house or seeking the solution to a complex design challenge, you'll find great people who have the knowledge and expertise to help you put it all together. Choosing the right window treatment for your home or business can be very complex. We will work with you to find a solution that looks great and provides the privacy and light control you need. Once you’ve made your selection, our measuring and installation experts will come to your home or business to ensure a perfect fit for your new window coverings. Explore creative ideas and smart solutions for your windows with our online brochure. It's the ideal introduction to Hunter Douglas window coverings, available at Signature Carpet One Floor & Home. Signature Carpet One Floor & Home offers a large selection of custom Hunter Douglas window treatments, including sheers and shadings, honeycomb shades, shutters, horizontal blinds, vertical blinds, Roman shades, roller shades, and woven wood shades. We have proudly served Fremont, CA and the Greater Bay Area for over 25 years. Please contact us, and let us know how we can help you with your window coverings. 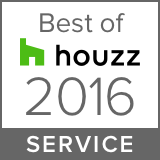 Signature Carpet One Floor & Home was awarded Best of Houzz for Customer Service! 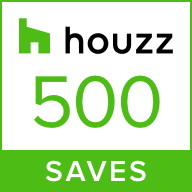 We were chosen by the more than 35 million monthly unique users that comprise the Houzz community from among more than one million active home building, remodeling an design industry professionals.